Does my child really have to get expanders – or is there a better way? In your research into straightening your child’s teeth and helping them to smile with confidence, you may well have encountered a piece of rather intimidating kit called the palatal expander. Indeed, other orthodontists may even have recommended using one with your child. In a nutshell, an expander helps to create more space in the mouth to allow teeth to align by gently pushing against the upper jaw, and gradually expanding it over several months. Because children’s mouths are still growing, this process is generally not too unpleasant, but for many young patients and their parents alike, the idea of using this piece of apparatus can be daunting. In truth, in this day and age, expanders are no longer the only solution – but in many orthodontist practices they continue to be heavily over-prescribed. The fact is, unless we can actually see damage occurring, there is no urgent need to use expanders. At Brace5, despite favouring non-extraction orthodontics (a process which features palate expanders in many orthodontic practices), we only use expanders with a very small number of patients. 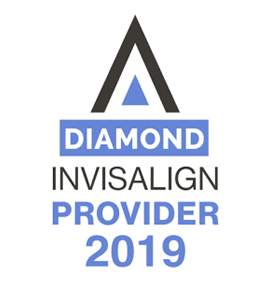 When you’re using the best modern braces technology (and now even Invisalign), coupled with over 30 years’ orthodontist experience, it’s possible to widen the jaw without the use of expander plates. When you choose Dr John Mamutil and the team at Brace5, you can rest assured that our adoption of the latest technology will enable you or your child to experience the most comfortable and effective teeth straightening procedures in the world. Make an appointment for an initial consultation today.